Rockets center Dikembe Mutombo's basketball career is likely over due to a torn tendon in his left knee, but it’s his charitable work that begs our attention. His name may be familiar to some after he was honored with the Presidents Service Award in 1999, the nation’s highest honor for volunteer service. Or you may recognize Dikembe’s name because he was inducted into the World Sports Humanitarian Hall of Fame in 2007. You may even know him from former President George W. Bush’s 2007 State of the Union Address where Bush acknowledged Dikembe for his work in support of African causes. But now, the NBA’s oldest player is ready to retire and focus on his true calling. And this is precisely why Dikembe Mutombo received the J. Walker Kennedy Citizenship Award from the Professional Basketball Writers Association on Friday. Sound familiar? That’s because the man with the big heart is the first player in history to win the award TWICE! “No player has given more freely of his time, his money and himself, on a consistent basis than Mutombo through the years. His and his foundation’s continuing efforts in building, maintaining and improving the hospital in Kinshasa are widely known and set a standard for NBA players, and frankly, athletes across all sports. The PBWA is delighted to present him — again — with this award,” said PBWA president Doug Smith. Mutombo has worked for more than a decade to raise funds to build and open the $29 million Biamba Marie Mutombo Hospital and Research Center in Kinshasa, of the Democratic Republic of Congo. He has personally donated about $19 million, and continues to work to raise money for its operating costs. 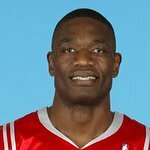 For much more information on Dikembe Mutombo, his foundation and continued humanitarian work, please visit his website.